Well Planned Family Day planner from HEDUA (Home Educating Family Association). My oldest three have their own student planners and that seems to be working for them, but I am struggling to keep up with the youngest three. The Well Planned Day is perfect for me to schedule these three children and get more organized. There are so many 'extra's in this planner. I am loving it! There are individualized pages for each child to choose some goals and list their classes and curriculum for the school year. There are shopping lists, meal planners, and weekly priorities to keep me organized. I am loving having a menu planner right there in front of me to work with. Every month there is an encouraging article to read to encourage you in your homeschooling journey. At the end of the planner there is a place to record grades and attendance. This is great for me as I have to keep a report of our attendance for the state. It is so helpful for me to have all of my information in one place rather than on separate calendars. Four report cards are included at the back of the planner as well, on thick cardstock! 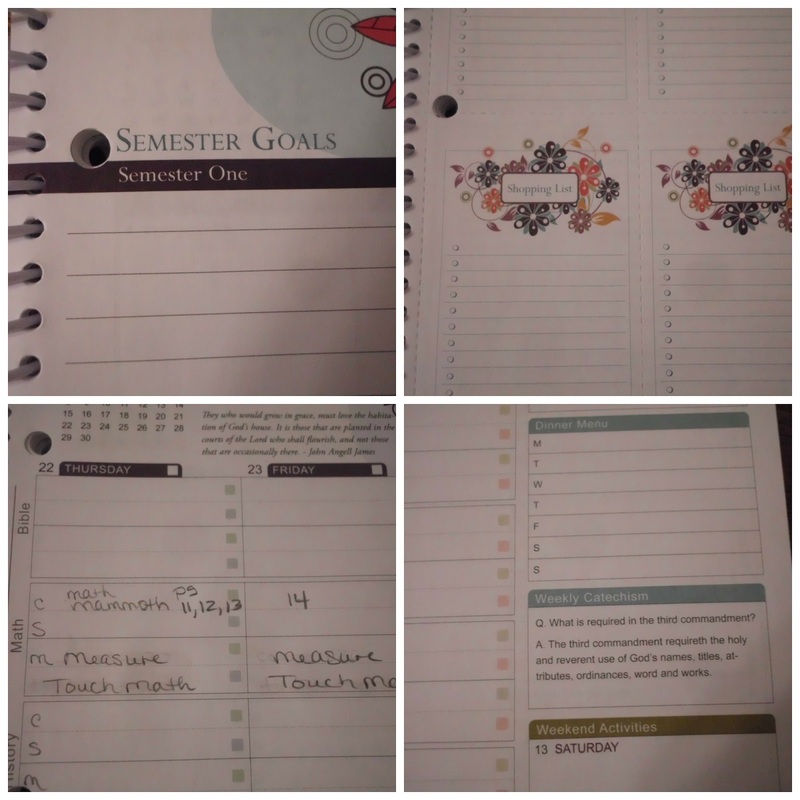 This planner has included so many things for homeschoolers that typically daily planners don't. Spiral bound but it also has three hole punches if you need to pull out your record pages to store for later in a binder. 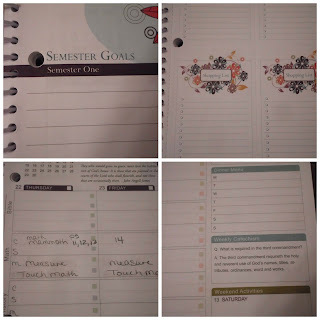 The planner allows for up to 4 children in planning, which for me worked great with the three I was utilizing it for. Are you feeling stressed with your school year? Consider this Family Homeschool Planner from Hedua! It sells for $26.95 and is an actual physical planner! Very well designed, and easy to use. I love these planners! I have the student version, and I love it! Keeping to a schedule is hard. My grandson works hard and loves reading, but writing isn't a favorite. He tries to get out of/put off writing time. I am struggling with just getting started, because we are moving in about 3 weeks, Because of a huge change in plans, most of our things are in storage. I don't have access to most of my resources right now. This is our first year. I find it frustrating that our first year isn't starting out as smoothly as I envisioned. Our biggest hurdle right now is trying to find enough time in the day to fit everything we want to do. Keeping focused is our biggest struggle!